The provisions of the Utah statutes that permit the filing of mechanics liens and materialman's liens on construction projects can be found in Utah's Mechanics' Lien Law, U.C.A. 1953 § 38-1-1 et. seq., Utah's Residence Lien Restriction and Recovery Fund Act, U.C.A. 1953 § 38-11-101 et. seq., and Utah's Notice of Lien Filing Law, U.C.A. 1953 § 38-12-101 et. seq. The full text of the Utah Construction Lien Law is provided below, and has been updated as of 2011. To see a quick synopsis of the most important provisions, take a look at our Utah Frequently Asked Questions page. Except as provided in Sections 38-1-27, 38-1-30 through 38-1-36, and 38-1-40 relating to the State Construction Registry, this chapter does not apply to any public improvement. (b) that is anticipated to follow the performing of the preconstruction service. (2) “Applicable county recorder” means the office of the recorder of each county in which any part of the property on which a claimant claims or intends to claim a lien under this chapter is located. (3) “Bona fide loan” means a loan to an owner or owner-builder by a lender in which the owner or owner-builder has no financial or beneficial interest greater than 5% of the voting shares or other ownership interest. (4) “Claimant” means a person entitled to claim a lien under this chapter. (b) a combination of the bases listed in Subsection (5)(a). (b) includes the scheduling, estimating, staking, supervising, managing, materials testing, inspection, observation, and quality control or assurance involved in constructing, altering, or repairing an improvement. (7) “Construction service lien” means a lien under this chapter for construction service. (8) “General preconstruction contractor” means a claimant, other than an original contractor, who contracts with one or more subcontractors for the subcontractor or subcontractors to provide preconstruction service that the claimant is under contract to provide. (b) a repair, modification, or alteration of a building, infrastructure, utility, or object referred to in Subsection (9)(a). (b) does not include a contract between an owner-builder and another person. (11) “Original contractor” means a person who contracts with an owner of real property to provide preconstruction service or construction service. (b) obtains a building permit for the improvement. (b) includes consulting, conducting a site investigation or assessment, programming, preconstruction cost or quantity estimating, preconstruction scheduling, performing a preconstruction construction feasibility review, procuring construction services, and preparing a study, report, rendering, model, boundary or topographic survey, plat, map, design, plan, drawing, specification, or contract document. (14) “Preconstruction service lien” means a lien under this chapter for a preconstruction service. (15) “Subcontractor” means a person who contracts to provide preconstruction service or construction service to a person other than the owner of the real property for which the preconstruction service or construction service is provided. For purposes of this chapter, an original contract is considered to exist between an owner-builder as owner and the owner-builder as original contractor. 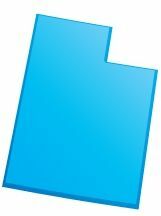 Click Here to File a Utah Document. (1) Subject to the provisions of this chapter, a person who performs preconstruction service or construction service on or for real property has a lien on the real property for the reasonable value of the preconstruction service or construction service, respectively, except as provided in Section 38-11-107. (2) A person may claim a preconstruction service lien and a separate construction service lien on the same real property. (3)(a) A construction service lien may include an amount claimed for a preconstruction service. (b) A preconstruction service lien may not include an amount claimed for construction service. (4) A lien under this chapter attaches only to the interest that the owner or owner-builder has in the real property that is the subject of the lien. (1) A lien under this chapter extends to and covers as much of the land on which the improvement is made as necessary for the convenient use and occupation of the land. (2) If an improvement occupies two or more lots or other subdivisions of land, the lots or subdivisions are considered as one for the purposes of this chapter. (3) A lien under this chapter attaches to all franchises, privileges, appurtenances, machinery, and fixtures pertaining to or used in connection with the improvement. (ii) any lien, mortgage, or other encumbrance of which the claimant had no notice and that was unrecorded at the time the notice of retention is filed. (2) A preconstruction service lien is subordinate to an interest securing a bona fide loan if and to the extent that the lien covers preconstruction service provided after the interest securing a bona fide loan is recorded. (3) Preconstruction service is considered complete for any project, project phase, or bid package as of the date that construction service for that project, project phase, or bid package, respectively, commences. (v) not withdrawn under Subsection 38-1-32(8). (b) “Project property” means the real property on which an improvement is being constructed or made. (2) A construction service lien relates back to, and takes effect as of, the time of the first preliminary notice filing. (ii) any lien, mortgage, or other encumbrance of which the lien holder had no notice and which was unrecorded at the time of the first preliminary notice filing. (ii) withdraws the claimant’s preliminary notice by filing a notice of withdrawal under Subsection 38-1-32(8). No attachment, garnishment or levy under an execution upon any money due to an original contractor from the owner of any property subject to lien under this chapter shall be valid as against any lien of a subcontractor or materialman, and no such attachment, garnishment or levy upon any money due to a subcontractor or materialman from the contractor shall be valid as against any lien of a laborer employed by the day or piece. (1) Within 90 days after completing a preconstruction service for which a claimant is not paid in full, the claimant shall submit for recording with the applicable county recorder a notice of preconstruction service lien. (2) A claimant who fails to submit a notice of preconstruction service lien as provided in Subsection (1) may not claim a preconstruction service lien. (xii) if the lien is against an owner-occupied residence, as defined in Section 38-11-102, a statement meeting the requirements that the Division of Occupational and Professional Licensing has established in accordance with Title 63G, Chapter 3, Utah Administrative Rulemaking Act, describing the steps an owner may take to require a claimant to remove the lien as provided in Section 38-11-107. (b)(i) A claimant who is a general preconstruction contractor may include in a notice of preconstruction service lien the name, address, and telephone number of each subcontractor who is under contract with the claimant to provide preconstruction service that the claimant is under contract to provide. (ii) The inclusion of a subcontractor in a notice of preconstruction service lien filed by another claimant is not a substitute for the subcontractor’s own submission of a notice of preconstruction service lien. (4)(a) Within 30 days after a claimant’s notice of preconstruction service lien is recorded, the claimant shall send by certified mail a copy of the notice to the reputed or record owner of the real property. (b) If the record owner’s address is not readily available to the claimant, the claimant may mail a copy of the notice to the owner’s last-known address as it appears on the last completed assessment roll of the county in which the property is located. (c) A claimant’s failure to mail a copy of the notice as required in this Subsection (4) precludes the claimant from being awarded costs and attorney fees against the reputed or record owner in an action to enforce the lien. (5) Nothing in this section may be construed to prohibit a claimant from recording a notice of preconstruction services lien before completing the preconstruction service the claimant contracted to provide. (B) 90 days after the day on which a notice of completion is filed under Section 38-1-33 but not later than the time frame established in Subsection (1)(a)(i)(A). (D) if as a result of termination of the original contract prior to the completion of the work defined by the original contract, the compliance agency does not issue a certificate of occupancy or final inspection, the last date on which substantial work was performed under the original contract. (ii) the original contractor’s time frame to file a notice of intent to hold and claim a lien under this Subsection (1) for that subcontractor’s work. (d) Notwithstanding Subsection (1)(a)(ii)(C), final completion of the original contract does not occur if work remains to be completed for which the owner is holding payment to ensure completion of that work. (ix) if the lien is on an owner-occupied residence, as defined in Section 38-11-102, a statement describing what steps an owner, as defined in Section 38-11-102, may take to require a lien claimant to remove the lien in accordance with Section 38-11-107. (b) Substantial compliance with the requirements of this chapter is sufficient to hold and claim a lien. (ii) the record owner of the real property. (b) If the record owner’s current address is not readily available to the claimant, the copy of the claim may be mailed to the last-known address of the record owner, using the names and addresses appearing on the last completed real property assessment rolls of the county where the affected property is located. (c) Failure to deliver or mail the notice of lien to the reputed owner or record owner precludes the claimant from an award of costs and attorney fees against the reputed owner or record owner in an action to enforce the lien. (4) The Division of Occupational and Professional Licensing shall make rules governing the form of the statement required under Subsection (2)(a)(ix). Liens against two or more buildings or other improvements owned by the same person may be included in one claim; but in such case the person filing the claim must designate the amount claimed to be due to him on each of such buildings or other improvements. (1) The recorder shall record each notice of preconstruction service lien under Section 38-1-6.7 and notice to hold and claim a construction service lien under Section 38-1-7 in an index maintained for that purpose. (2) From the time a notice described in Subsection (1) is filed for record, all persons are considered to have notice of it. The liens for work and labor done or material furnished as provided in this chapter shall be upon an equal footing, regardless of date of filing the notice and claim of lien and regardless of the time of performing such work and labor or furnishing such material. (a) “Owner” is as defined in Section 38-11-102. (b) “Residence” is as defined in Section 38-11-102. (b) if an owner files for protection under the bankruptcy laws of the United States before the expiration of the 180-day period under Subsection (2)(a), within 90 days after the automatic stay under the bankruptcy proceeding is lifted or expires. (3)(a) Within the time period provided for filing in Subsection (2) the claimant shall file for record with the county recorder of each county in which the lien is recorded a notice of the pendency of the action, in the manner provided in actions affecting the title or right to possession of real property, or the lien shall be void, except as to persons who have been made parties to the action and persons having actual knowledge of the commencement of the action. (b) The burden of proof is upon the claimant and those claiming under the claimant to show actual knowledge under Subsection (3)(a). (4)(a) A lien filed under this chapter is automatically and immediately void if an action to enforce the lien is not filed within the time required by this section. (b) Notwithstanding Section 78B-2-111, a court has no subject matter jurisdiction to adjudicate a lien that becomes void under Subsection (4)(a). (5) This section may not be interpreted to impair or affect the right of any person to whom a debt may be due for any work done or materials furnished to maintain a personal action to recover the debt. (ii) a form to enable the owner of the residence to specify the grounds upon which the owner may exercise available rights under Title 38, Chapter 11, Residence Lien Restriction and Lien Recovery Fund Act. (b) The instructions and form required by Subsection (6)(a) shall meet the requirements established by rule by the Division of Occupational and Professional Licensing in accordance with Title 63G, Chapter 3, Utah Administrative Rulemaking Act. (c) If a claimant fails to provide to the owner of the residence the instructions and form required by Subsection (6)(a), the claimant is barred from maintaining or enforcing the lien upon the residence. (d) Judicial determination of the rights and liabilities of the owner of the residence under this chapter and Title 38, Chapter 11, Residence Lien Restriction and Lien Recovery Fund Act, and Title 14, Chapter 2, Private Contracts, shall be stayed until after the owner is given a reasonable period of time to establish compliance with Subsections 38-11-204(4)(a) and (4)(b) through an informal proceeding, as set forth in Title 63G, Chapter 4, Administrative Procedures Act, commenced within 30 days of the owner being served summons in the foreclosure action, at the Division of Occupational and Professional Licensing and obtain a certificate of compliance or denial of certificate of compliance, as defined in Section 38-11-102. (ii) all materials filed in connection with the application. (f) The Division of Occupational and Professional Licensing shall notify all claimants listed in an owner’s application for a certificate of compliance under Subsection (6)(d) of the issuance or denial of a certificate of compliance. (7) The written notice requirement applies to liens filed on or after July 1, 2004. Lienors not contesting the claims of each other may join as plaintiffs, and when separate actions are commenced the court may consolidate them and make all persons having claims filed parties to the action. Those claiming liens who fail or refuse to become parties plaintiff may be made parties defendant, and any one not made a party may at any time before the final hearing intervene. The court shall cause the property to be sold in satisfaction of the liens and costs as in the case of foreclosure of mortgages, subject to the same right of redemption. If the proceeds of sale after the payment of costs shall not be sufficient to satisfy the whole amount of liens included in the decree, then such proceeds shall be paid in the order above designated, and pro rata to the persons claiming in each class where the sum realized is insufficient to pay the persons of such class in full. Any excess shall be paid to the owner. Every person whose claim is not satisfied as herein provided may have judgment docketed for the balance unpaid, and execution therefor against the party personally liable. Except as provided in Section 38-11-107, as between the owner and the contractor the court shall apportion the costs according to the right of the case, but in all cases each subcontractor exhibiting a lien shall have his costs awarded to him, including the costs of preparing and recording the notice of claim of lien and such reasonable attorneys’ fee as may be incurred in preparing and recording said notice of claim of lien. (1) Except as provided in Section 38-11-107 and in Subsection (2), in any action brought to enforce any lien under this chapter the successful party shall be entitled to recover a reasonable attorneys’ fee, to be fixed by the court, which shall be taxed as costs in the action. (2) A person who files a wrongful lien as provided in Section 38-1-25 is not entitled to recover attorneys’ fees under Subsection (1). (3) A party against whom any action is brought to enforce a lien under this chapter may make an offer of judgment pursuant to Rule 68 of the Utah Rules of Civil Procedure. If the offer is not accepted and the judgment finally obtained by the offeree is not more favorable than the offer, the offeree shall pay the costs and attorneys’ fees incurred by the offeror after the offer was made. (1) If a subcontractor has actually begun to perform preconstruction service or furnish construction service for which the subcontractor is entitled to a lien, a payment to the original contractor may not impair or defeat the lien. (2) An alteration of a contract may not affect a lien acquired under this chapter. As to all liens, except that of the contractor, the whole contract price shall be payable in money, except as herein provided, and shall not be diminished by any prior or subsequent indebtedness, offset or counterclaim in favor of the owner and against the contractor, except when the owner has contracted to pay otherwise than in cash, in which case the owner shall post in a conspicuous place on the premises a statement of the terms and conditions of the contract before materials are furnished or labor is performed, which notice must be kept posted, and when so posted shall give notice to all parties interested of the terms and conditions of the contract. Any person willfully tearing down or defacing such notice is guilty of a misdemeanor. No payment made prior to the time when the same is due under the terms and conditions of the contract shall be valid for the purpose of defeating, diminishing or discharging any lien in favor of any person except the contractor; but as to any such lien such payment shall be deemed as if not made, notwithstanding that the contractor to whom it was paid may thereafter abandon his contract or be or become indebted to the owner for damages for nonperformance of his contract or otherwise. The subcontractors’ liens provided for in this chapter shall extend to the full contract price, but if at the time of the commencement to do work or furnish materials the owner has paid upon the contract, in accordance with the terms thereof, any portion of the contract price, either in money or property, the lien of the contractor shall extend only to such unpaid balance, and the lien of any subcontractor who has notice of such payment shall be limited to the unpaid balance of the contract price. No part of the contract price shall by the terms of any contract be made payable, nor shall the same or any part thereof be paid in advance of the commencement of the work, for the purpose of evading or defeating the provisions of this chapter. Whenever materials have been furnished for use in the construction, alteration or repair of any building, work or other improvement mentioned in Section 38-1-3 such materials shall not be subject to attachment, execution or other legal process to enforce any debt due by the purchaser of such materials, other than a debt due for the purchase money thereof, so long as in good faith the same are about to be applied to the construction, alteration or repair of such building or improvement. The claimant of any lien filed as provided herein, on the payment of the amount thereof together with the costs incurred and the fees for cancellation, shall at the request of any person interested in the property charged therewith cause said lien to be canceled of record within 10 days from the request, and upon failure to so cancel his lien within the time aforesaid shall forfeit and pay to the person making the request the sum of $125 per day or actual damages, whichever is greater, until the same shall be canceled, to be recovered in the same manner as other debts. (c) to procure any unjustified advantage or benefit. (b) the actual damages incurred by the owner of the property. All liens under this chapter shall be assignable as other choses in action, and the assignee may commence and prosecute actions thereon in his own name in the manner herein provided. (a) “Alternate filing” means a legible and complete filing made in a manner established by the division under Subsection (2)(e) other than an electronic filing. (b) “Cancel” means to indicate that a filing is no longer given effect. (c) “Construction lender” means a lender who provides construction financing for a private project. (d) “Construction project” or “project” means all labor, service, equipment, and materials provided under an original contract. (e) “Database” means the State Construction Registry created in this section. (f)(i) “Designated agent” means the third party the division contracts with to create and maintain the State Construction Registry. (ii) The designated agent is not an agency, instrumentality, or a political subdivision of the state. (g) “Division” means the Division of Occupational and Professional Licensing. (ii) is unique for each notice or other document. (ii) a county, city, town, school district, local district, special service district, community development and renewal agency, or other political subdivision of the state. (ii) the unique project number assigned by the designated agent. (k) “Interested person” means a person who may be affected by a construction project. (l) “Private project” means a construction project that is not a government project. (m) “Program” means the State Construction Registry Program created in this section. (n) “Project property” means the real property on which a construction project occurs or will occur. (g) provide hard-copy printing of electronic receipts for an individual filing evidencing the date and time of the individual filing and the content of the individual filing. (ii) does not provide the designated agent with the person’s contact information in a manner that adequately informs the designated agent. (b) An interested person may request notice of filings related to a project. (x) any other identifier that the division considers reasonably appropriate in collaboration with the designated agent. (v) account setup for a person who wishes to be billed periodically for filings with the database. (b) The fees allowed under Subsection (4)(a) may not exceed the amount reasonably necessary to create and maintain the database. (c) The fees established by the division may vary by method of filing if one form of filing is more costly to process than another form of filing. (d) The division may provide by contract that the designated agent may retain all fees collected by the designated agent except that the designated agent shall remit to the division the cost of the division’s oversight under Subsection (2)(b). (5)(a) The database is classified as a public record under Title 63G, Chapter 2, Government Records Access and Management Act, unless otherwise classified by the division. (b) A request for information submitted to the designated agent is not subject to Title 63G, Chapter 2, Government Records Access and Management Act. (c) Information contained in a public record contained in the database shall be requested from the designated agent. (d) The designated agent may charge a commercially reasonable fee allowed by the designated agent’s contract with the division for providing information under Subsection (5)(c). (e) Notwithstanding Title 63G, Chapter 2, Government Records Access and Management Act, if information is available in a public record contained in the database, a person may not request the information from the division. (f)(i) A person may request information that is not a public record contained in the database from the division in accordance with Title 63G, Chapter 2, Government Records Access and Management Act. (ii) The division shall inform the designated agent of how to direct inquiries made to the designated agent for information that is not a public record contained in the database. (c) other action by the designated agent in connection with a filing of any notice permitted by this chapter. (7) The division and the designated agent need not determine the timeliness of any notice before filing the notice in the database. (8)(a) A person who is delinquent on the payment of a fee established under Subsection (4) may not file a notice with the database. (b) A determination that a person is delinquent on the payment of a fee for filing established under Subsection (4) shall be made in accordance with Title 63G, Chapter 4, Administrative Procedures Act. (c) Any order issued in a proceeding described in Subsection (8)(b) may prescribe the method of that person’s payment of fees for filing notices with the database after issuance of the order. (9) If a notice is filed by a third party on behalf of another, the notice is considered to be filed by the person on whose behalf the notice is filed. (10) A person filing a notice of commencement, preliminary notice, or notice of completion is responsible for verifying the accuracy of information entered into the database, whether the person files electronically or by alternate or third party filing. (c) for a government project, the government project-identifying information. (1) As used in this section, “project” means a project or improvement for which a preliminary notice has been filed pursuant to Section 38-1-32. (c) informing the subcontractor of each preliminary notice the original contractor has received for the project. (c) at any time before the expiration of 90 days after the day on which the person filing a notice of release of lien and substitution of alternate security is served with a summons and lien foreclosure complaint. (B) the original contractor or subcontractor affected by the lien. (3)(a) Upon the recording of the notice of release of lien and substitution of alternate security under Subsection (1), the real property described in the notice shall be released from the mechanics’ lien to which the notice applies. (b) A recorded notice of release of lien and substitution of alternate security is effective as to any amendment to the lien being released if the bond amount remains enough to satisfy the requirements of Subsection (2)(c)(ii). (4)(a) Upon the recording of a notice of release of lien and substitution of alternate security under Subsection (1), the person recording the notice shall serve a copy of the notice, together with any attachments, within 30 days upon the lien claimant. (b) If a suit is pending to foreclose the lien at the time the notice is served upon the lien claimant under Subsection (4)(a), the lien claimant shall, within 90 days from the receipt of the notice, institute proceedings to add the alternate security as a party to the lien foreclosure suit. (ii) suit against the alternate security. (6) If a copy of the notice of release of lien and substitution of alternate security is not served upon the lien claimant as provided in Subsection (4)(a), the lien claimant shall have six months after the discovery of the notice to commence an action against the alternate security, except that no action may be commenced against the alternate security after two years from the date the notice was recorded. (7)(a) The owner of any interest in real property that is subject to a mechanics’ lien recorded under this chapter or an original contractor or subcontractor affected by a mechanics’ lien recorded under this chapter who disputes the amount claimed in a notice of lien may petition the district court in the county in which the notice of lien is recorded for a summary determination of the correct amount of a lien claim for the sole purpose of providing alternate security. (ii) be supported by a sworn affidavit and any other evidence supporting the petition. (ii) a notice of hearing if a hearing is scheduled. (d) If a court finds a petition under Subsection (7)(a) insufficient, the court may dismiss the petition without a hearing. (e) If a court finds a petition under Subsection (7)(a) sufficient, the court shall schedule a hearing within 10 days to determine the correct amount of the lien claim for the sole purpose of providing alternate security. (iii) any person’s right to any other legal remedy. (h) If a court, in a proceeding under this Subsection (7), determines that the amount claimed in a notice of claim is excessive, the court shall set the amount of the lien claim for the sole purpose of providing alternate security. (i) In an order under Subsection (7)(h), the court shall include a legal description of the property. (j) A petitioner under this Subsection (7) may record a certified copy of any order issued under this Subsection (7) in the county in which the lien is recorded. (k) Attorneys’ fees may not be awarded for a proceeding under this Subsection (7), but shall be considered in any award of attorneys’ fees under any other provision of this chapter. (1)(a) A right or privilege under this chapter may not be waived or limited by contract. (b) A provision of a contract purporting to waive or limit a right or privilege under this chapter is void. (2) Notwithstanding Subsection (1), a claimant may waive or limit, in whole or in part, a lien right under this chapter in consideration of payment as provided in Section 38-1-39. (3) Unless an agreement waiving or limiting a lien right expressly provides that a payment is required to be applied to a specific lien, mortgage, or encumbrance, a payment to a person claiming or included within a preconstruction service lien and a construction service lien shall be applied first to the preconstruction service lien until paid in full. (1) The division shall contract in accordance with Title 63G, Chapter 6, Utah Procurement Code, with a third party to establish and maintain the database for the purposes established under this section, Section 38-1-27, and Sections 38-1-31 through 38-1-36. (b) The database shall accommodate filings by third parties on behalf of clients. (c) The division and the designated agent shall design, develop, and test the database for full implementation on May 1, 2005. (c) the form of submission of an alternate filing, which may include procedures for rejecting an illegible or incomplete filing. (4)(a) The designated agent shall archive computer data files at least semiannually for auditing purposes. (b) In accordance with Title 63G, Chapter 3, Utah Administrative Rulemaking Act, the division shall make rules to allow the designated agent to periodically archive projects from the database. (iii) one year after the day on which a filing is cancelled under Subsection 38-1-32 (6)(c) or 38-1-33(2)(c). (d) The division may audit the designated agent’s administration of the database as often as the division considers necessary. (5) The designated agent shall carry errors and omissions insurance in the amounts established by rule made by the division in accordance with Title 63G, Chapter 3, Utah Administrative Rulemaking Act. (6)(a) The designated agent shall make reasonable efforts to assure the accurate entry into the database of information provided in alternate filings. (b) The designated agent shall meet or exceed standards established by the division for the accuracy of data entry for alternate filings. (7) The designated agent is not liable for the correctness of the information contained in an alternate filing it enters into the database. (1)(a) A person who, under Section 38-1-3, is entitled to a preconstruction service lien on real property under this chapter shall file a notice of retention with the database no later than 20 days after the person commences performing preconstruction service for the anticipated improvement on the real property. (b) A person who fails to file a timely notice of retention as required in this section may not hold a valid preconstruction service lien under this chapter. (c) A timely filed notice of retention is effective as to each preconstruction service that the person filing the notice performs for the anticipated improvement under an original contract, including preconstruction service that the person performs for more than one general preconstruction contractor under the same original contract. (d) A notice of retention filed for preconstruction service performed or to be performed under an original contract for an anticipated improvement on real property is not valid for preconstruction service performed or to be performed under a separate original contract for an anticipated improvement on the same real property. (e) A notice of retention that is timely filed with the database with respect to an anticipated improvement is considered to have been filed at the same time as the earliest timely filed preliminary notice for that anticipated improvement. (vii) a statement that the person filing the notice intends to hold and claim a preconstruction service lien if the person is not paid for the preconstruction service the person performs. (g)(i) A claimant who is a general preconstruction contractor may include in a notice of retention the name, address, and telephone number of each subcontractor who is under contract with the claimant to provide preconstruction service that the claimant is under contract to provide. (ii) The inclusion of a subcontractor in a notice of retention filed by another claimant is not a substitute for the subcontractor’s own submission of a notice of retention. (ii) each person who has requested a notice concerning the anticipated improvement. (b) A person to whom notice is required to be provided under Subsection (2)(a) is responsible to provide an email address, mailing address, or telefax number to which notice may be sent and for the accuracy of the email address, mailing address, or telefax number. (c) The designated agent fulfills the notice requirement of Subsection (2)(a) by sending the notice to the email address, mailing address, or telefax number provided to the designated agent, whether or not the notice is actually received. (3) The burden is on the person filing the notice of retention to prove that the person has substantially complied with the requirements of this section. (4)(a) Subject to Subsection (4)(b), a person required by this section to file a notice of retention is required to give only one notice for each anticipated improvement. (b) If a person performs preconstruction service under more than one original contract, the person shall file a notice of retention for preconstruction service performed under each original contract. (5)(a) An owner of property that is the subject of an anticipated improvement, an original contractor, a subcontractor, or another interested person who believes that a notice of retention has been erroneously filed may request from the person who filed the notice evidence establishing the validity of the notice of retention. (b) Within 10 days after a request under Subsection (5)(a), the person who filed the notice of retention shall provide the requesting person proof that the notice of retention is valid. (c) If the person who filed the notice of retention does not provide timely proof of the validity of the notice of retention, that person shall immediately cancel the notice of retention from the database in the manner prescribed by the division by rule. (6) A person filing a notice of retention by alternate filing is responsible for verifying and changing any incorrect information in the notice of retention before the expiration of the period during which the notice is required to be filed. (1) As used in this section, “construction loan” does not include a consumer loan secured by the equity in the consumer’s home. (2) After recording a mortgage or trust deed securing a construction loan on a private project, the construction lender on the loan shall promptly, in conjunction with the closing of the construction loan, file with the database a notice of construction loan. (e) the name of the county in which the project property is located. (4) A construction lender that files a notice of construction loan containing incomplete or inaccurate information may not be held liable for damages suffered by any other person who relies on the inaccurate or incomplete information in filing a preliminary notice. (ii) may collect a building permit fee related to the issuance of the building permit, but may not spend or otherwise use the building permit fee until the county, city, or town complies with Subsection (1)(a)(i) with respect to the building permit for which the fee is charged. (b) The person to whom a building permit, filed under Subsection (1)(a), is issued is responsible for the accuracy of the information in the building permit. (c) For the purposes of classifying a record under Title 63G, Chapter 2, Government Records Access and Management Act, building permit information transmitted from a county, city, or town to the database shall be classified in the database by the division notwithstanding the classification of the building permit information by the county, city, or town. (2) At the time a building permit is obtained, each original contractor for construction service shall conspicuously post at the project site a copy of the building permit obtained for the project. (1) No later than 15 days after commencement of physical construction work at a government project site, the original contractor, owner, or owner-builder shall file a notice of commencement with the database. (2) An original contractor, owner, or owner-builder on a government project may file a notice of commencement with the designated agent before the commencement of physical construction work on the project property. (3)(a) If duplicate notices of commencement are filed, they shall be combined into one notice for each government project, and any notices filed relate back to the date of the earliest-filed notice of commencement for the project. (b) A duplicate notice of commencement that is untimely filed relates back under Subsection (3)(a) if the earlier filed notice of commencement is timely filed. (c) Duplicate notices of commencement shall be automatically linked by the designated agent. (b) can be associated with all notices of commencement, preliminary notices, and notices of completion filed in connection with the project. (5) A notice of commencement is effective only as to any labor, service, equipment, and material that is furnished after the notice of commencement is filed. (v) the government project-identifying information. (b) A notice of commencement may include a general description of the project. (7) If a notice of commencement for a government project is not filed within the time set forth in Subsection (1), Sections 38-1-32.5 and 38-1-33 do not apply. (8)(a) Notwithstanding any other provision of this chapter, a notice of commencement need not be filed for a private project. (b) A provision of this chapter does not apply to a private project if the provision depends for its effectiveness upon the filing of a notice of commencement. (ii) all interested persons who have requested notices concerning the project. (ii) the accuracy of any email address, mailing address, or telefax number to which notice is to be sent. (c) The designated agent fulfills the notice requirement of Subsection (9)(a) by sending the notice to the email address, mailing address, or telefax number provided to the designated agent, whether or not the notice is actually received. (10)(a) The burden is upon any person seeking to enforce a notice of commencement to verify the accuracy of information in the notice of commencement and prove that the notice of commencement is filed timely and meets all of the requirements of this section. (b) A substantial inaccuracy in a notice of commencement renders the notice of commencement invalid. (c) A person filing a notice of commencement by alternate filing is responsible for verifying and changing any incorrect information in the notice of commencement before the expiration of the time period during which the notice is required to be filed. (a) “Pre-lender claimant” means a person whose lien under this chapter is made subject to a construction lender’s mortgage or trust deed, as provided in Subsection 38-1-5(3)(b), by the person’s acceptance of payment in full and the person’s withdrawal of the person’s preliminary notice. (b) “Refiled preliminary notice” means a preliminary notice that a pre-lender claimant files under Subsection (2)(a)(ii) with the database on a project after withdrawing a preliminary notice that the claimant previously filed for the same project. (2)(a)(i) A person who, under Section 38-1-3, is entitled to a construction service lien with respect to a private project shall file a preliminary notice with the database no later than 20 days after the person commences furnishing construction service to the project. (ii) A pre-lender claimant who, under Section 38-1-3, is entitled to claim a construction service lien for construction service the claimant furnishes to a private project after the recording of a construction lender’s mortgage or trust deed on the project property shall file a preliminary notice within 20 days after the recording of the mortgage or trust deed. (b) Subject to Subsection (2)(c), a preliminary notice is effective as to all construction service that the person filing the notice furnishes to the private project, including construction service that the person furnishes to more than one contractor or subcontractor on that same project. (ii) is not effective for construction service that the person who files the preliminary notice furnishes to the construction project before five days after the preliminary notice is filed. (d)(i)(A) A person who fails to file a preliminary notice as required in this section may not hold a valid construction service lien under this chapter. (B) A person who files a preliminary notice after the period provided in Subsection (2)(a) may not hold a valid construction service lien for construction service the person furnishes to the construction project before five days after the preliminary notice is filed. (ii) A county recorder need not verify that a valid preliminary notice is filed when a person files a notice to hold and claim a lien under Section 38-1-7. (e)(i) Except as provided in Subsection (2)(e)(ii), a preliminary notice that is timely filed with the database with respect to a private project is considered to be filed at the time of the first preliminary notice filing, as defined in Section 38-1-5. (ii) A timely filed preliminary notice that is a refiled preliminary notice is considered to be filed immediately after the recording of a mortgage or trust deed of the construction lender that paid the pre-lender claimant in full for construction service the claimant furnished before the recording of the mortgage or trust deed. (B) the tax parcel identification number is incorrectly stated in the preliminary notice. (D) the entry number of the building permit issued for the project. (ii) the lot or parcel number of each lot or parcel that is included in the project property. (ii) each person who has requested a notice concerning the project. (4)(a) The burden is upon the person filing the preliminary notice to prove that the person has substantially complied with the requirements of this section. (5)(a) Subject to Subsection (5)(b), a person required by this section to give preliminary notice is only required to give one notice for each project. (b) If the construction service is furnished pursuant to contracts under more than one original contract for construction service, the notice requirements shall be met with respect to the construction service furnished under each original contract. (6)(a) A construction project owner, original contractor, or subcontractor for construction service, or other interested person who believes that a preliminary notice has been filed erroneously may request from the person who filed the preliminary notice evidence establishing the validity of the preliminary notice. (b) Within 10 days after the request described in Subsection (6)(a), the person or entity that filed the preliminary notice shall provide the requesting person or entity proof that the preliminary notice is valid. (c) If the person or entity that filed the preliminary notice does not provide proof of the validity of the preliminary notice, that person or entity shall immediately cancel the preliminary notice from the database in any manner prescribed by the division pursuant to rule. (7) A person filing a preliminary notice by alternate filing is responsible for verifying and changing any incorrect information in the preliminary notice before the expiration of the time period during which the notice is required to be filed. (8)(a) A person who files a preliminary notice before the recording of a construction lender’s mortgage or trust deed may withdraw the preliminary notice by filing with the database a notice of withdrawal as provided in Subsection (8)(b). (ii) the entry number of the preliminary notice being withdrawn. (9) A person who files a preliminary notice that contains inaccurate or incomplete information may not be held liable for damages suffered by any other person who relies on the inaccurate or incomplete information in filing a preliminary notice. (b) 20 days after the filing of a notice of commencement, if the subcontractor’s work commences before the filing of the first notice of commencement. (2) A preliminary notice filed within the period described in Subsection (1) is effective as to all labor, service, equipment, and material that the subcontractor furnishes to the construction project, including labor, service, equipment, and material provided that the subcontractor furnishes to more than one contractor or subcontractor. (3)(a) If more than one notice of commencement is filed for a project, a person may attach a preliminary notice to any notice of commencement filed for the project. (b) A preliminary notice attached to an untimely notice of commencement is valid if there is also a valid and timely notice of commencement for the project. (4) If a person files a preliminary notice after the period prescribed by Subsection (1), the preliminary notice becomes effective five days after the day on which the preliminary notice is filed. (5) Except as provided in Subsection (8), failure to file a preliminary notice within the period required by Subsection (1) precludes a person from maintaining any claim for compensation earned for labor, service, material, or equipment furnished to the construction project before the expiration of five days after the late filing of a preliminary notice, except as against the person with whom the person contracted. (f) the address of the project or a description of the location of the project. (7) Upon request, an original contractor shall provide a subcontractor with the number assigned to the project by the designated agent. (8) A person who provides labor, service, equipment, or material before the filing of a notice of commencement need not file a preliminary notice to maintain any right the person would otherwise have, if the notice of commencement is filed more than 15 days after the day on which the person begins work on the project. (9) Subsections 38-1-32(2), (3), (4), (5), and (6) apply to a preliminary notice on a government project under this section to the same extent that those subsections apply to a preliminary notice on a private project under Section 38-1-32. (1) Within five business days after a notice of default is filed for recording under Section 57-1-24 with respect to a trust deed on the project property securing a construction loan, the construction lender under the loan shall file a notice with the database. (c) state the date that the notice of default was recorded. (v) a title company issuing a title insurance policy on the construction project. (ii) the original contractor’s time frame to file a notice to hold and claim a lien under Subsection 38-1-7(1) for that subcontractor’s work. (vi) the method used to determine final completion. (d) For purposes of this section, final completion of the original contract does not occur if work remains to be completed for which the owner is holding payment to ensure completion of the work. (C) all interested persons who have requested notices concerning the project. (B) the accuracy of any email address, mailing address, or telefax number to which notice is to be sent. (iii) The designated agent fulfills the notice requirement of Subsection (1)(e)(i) when it sends the notice to the email address, mailing address, or telefax number provided to the designated agent, whether or not the notice is actually received. (iv) Upon the filing of a notice of completion, the time periods for filing a preliminary notice stated in Section 38-1-32 or 38-1-32.5 are modified such that all preliminary notices shall be filed subsequent to the notice of completion and within 10 days from the day on which the notice of completion is filed. (f) A subcontract that is considered an original contract for construction service for purposes of this section does not create a requirement for an additional preliminary notice if a preliminary notice has already been given for the labor, service, equipment, and material furnished to the subcontractor who performs substantial work. (2)(a) If a construction project owner, original contractor, or subcontractor for construction service, or other interested person believes that a notice of completion has been filed erroneously, that owner, original contractor, subcontractor, or other interested person can request from the person who filed the notice of completion evidence establishing the validity of the notice of completion. (b) Within 10 days after the request described in Subsection (2)(a), the person who filed the notice of completion shall provide the requesting person proof that the notice of completion is valid. (c) If the person that filed the notice of completion does not provide proof of the validity of the notice of completion, that person shall immediately cancel the notice of completion from the database in any manner prescribed by the division pursuant to rule. (3) A person filing a notice of completion by alternate filing is responsible for verifying and changing any incorrect information in the notice of completion before the expiration of the time period during which the notice is required to be filed. (c) to procure an unjustified advantage or benefit. (2) A person who violates Subsection (1) is liable to the owner of the construction project, an original contractor, a subcontractor, or any interested party who is affected by the notice for twice the amount of the actual damages incurred by such party or $2,000, whichever is greater. (1) The state and the state’s agencies, instrumentalities, political subdivisions , and an employee of a governmental entity are immune from suit for any injury resulting from the state construction registry. (b) meets data entry accuracy standards established by the division under Subsection 38-1-30(6)(b). (g) any other event or cause beyond the designated agent’s control. The filing of a document in the database is not intended to give notice to all persons of the content of the document within the meaning of Section 57-3-102 and does not constitute constructive notice of matters relating to real property to purchasers for value and without knowledge. (b) “Depository institution” is as defined in Section 7-1-103. (c) “Lien claimant” means a person that claims a lien under this chapter. (d) “Receives payment” means, in the case of a restrictive endorsement, a payee has endorsed a check and the check is presented to and paid by the depository institution on which it is drawn. (ii) for a progress payment, only to the extent of the payment. (ii) the check fails to clear the depository institution on which it is drawn for any reason. (E) any other right to recover payment afforded to the lien claimant in law or equity. (4)(a) A waiver and release given by a lien claimant meets the requirements of this section if it is in substantially the form provided in this Subsection (4) for the circumstance provided in this Subsection (4). (2) the check is paid by the depository institution on which it is drawn. This waiver and release applies to a progress payment for the work, materials, equipment, or a combination of work, materials, and equipment furnished by the undersigned to the Property or to the Undersigned’s Customer which are the subject of the Invoice or Payment Application, but only to the extent of the Payment Amount. This waiver and release does not apply to any retention withheld; any items, modifications, or changes pending approval; disputed items and claims; or items furnished or invoiced after the Payment Period. The undersigned warrants that the undersigned either has already paid or will use the money the undersigned receives from this progress payment promptly to pay in full all the undersigned’s laborers, subcontractors, materialmen, and suppliers for all work, materials, equipment, or combination of work, materials, and equipment that are the subject of this waiver and release. This waiver and release applies to the final payment for the work, materials, equipment, or combination of work, materials, and equipment furnished by the undersigned to the Property or to the Undersigned’s Customer. The undersigned warrants that the undersigned either has already paid or will use the money the undersigned receives from the final payment promptly to pay in full all the undersigned’s laborers, subcontractors, materialmen, and suppliers for all work, materials, equipment, or combination of work, materials, and equipment that are the subject of this waiver and release. (e)(i) If using a restrictive endorsement under Subsection (4)(d), the person preparing the check shall indicate whether the check is for a progress payment or a final payment by circling the word “progress” if the check is for a progress payment, or the word “final” if the check is for a final payment. (ii) If a restrictive endorsement does not indicate whether the check is for a progress payment or a final payment, it is considered to be for a progress payment. (ii) an agreement made in settlement of an action pending in any court or arbitration. (ii) specifically references the lien rights waived or impaired. (c) the contractor or owner has not obtained a payment bond in accordance with Section 14-2-1. (2) The notice of intent described in Subsection (1) shall be filed at least 45 days before the day on which the owner or contractor of a commercial nonresidential construction project files or could have filed a notice of completion under Section 38-1-33. (b) no later than 20 days after the day on which the owner or contractor files a notice of intent. (4)(a) A person identified in accordance with Subsection (3)(a)(i) who has complied with, or is exempt from, the provisions of Section 38-1-22, may demand a statement of adequate assurance from the owner, contractor, or subcontractor with whom the person has privity of contract no later than 10 days after the day on which the person files a balance statement in accordance with Subsection (3) from an owner, contractor, or subcontractor who is in privity of contract with the person. (b) A demand for adequate assurance as described in Subsection (4)(a) may include a request for a statement from the owner, contractor, or subcontractor that the owner, contractor, or subcontractor has sufficient funds dedicated and available to pay for all sums due to the person filing for the adequate assurances or that will become due in order to complete a construction project. (iii) as provided under Rule 4, Utah Rules of Civil Procedure. (ii) the parties disagree, in good faith, as to whether there are adequate funds, or access to financing or other sufficient available funds, to pay for the completion of the demanding person’s approved work on the construction project. (vi) another form of security approved by the court. (B) procure any other unfair advantage or benefit on the person’s behalf. (ii) the actual damages incurred by the owner, contractor, or subcontractor. (7) A court shall award reasonable attorney fees to a prevailing party for an action brought under this section. (8) Failure to comply with the requirements established in this section does not affect any other requirement or right under this chapter. (9) A person who has not complied with, or is not exempt from, the provisions of Section 38-1-32 may not be entitled to a right or a remedy provided in this section. (10) This section does not create a cause of action against a person with whom the demanding party is not in privity of contract. (1) “Board” means the Residence Lien Recovery Fund Advisory Board established under Section 38-11-104. (2) “Certificate of compliance” means an order issued by the director to the owner finding that the owner is in compliance with the requirements of Subsections 38-11-204(4)(a) and (4)(b) and is entitled to protection under Section 38-11-107. (3) “Construction on an owner-occupied residence” means designing, engineering, constructing, altering, remodeling, improving, repairing, or maintaining a new or existing residence. (4) “Department” means the Department of Commerce. (5) “Director” means the director of the Division of Occupational and Professional Licensing. (6) “Division” means the Division of Occupational and Professional Licensing. (7) “Duplex” means a single building having two separate living units. (8) “Encumbered fund balance” means the aggregate amount of outstanding claims against the fund. The remainder of the money in the fund is unencumbered funds. (9) “Executive director” means the executive director of the Department of Commerce. (10) “Factory built housing” is as defined in Section 15A-1-302. (11) “Factory built housing retailer” means a person that sells factory built housing to consumers. (12) “Fund” means the Residence Lien Recovery Fund established under Section 38-11-201. (13) “Laborer” means a person who provides services at the site of the construction on an owner-occupied residence as an employee of an original contractor or other qualified beneficiary performing qualified services on the residence. (14) “Licensee” means any holder of a license issued under Title 58, Chapters 3a, Architects Licensing Act, 22, Professional Engineers and Professional Land Surveyors Licensing Act, 53, Landscape Architects Licensing Act, and 55, Utah Construction Trades Licensing Act. (15) “Nonpaying party” means the original contractor, subcontractor, or real estate developer who has failed to pay the qualified beneficiary making a claim against the fund. (16) “Original contractor” means a person who contracts with the owner of real property or the owner’s agent to provide services, labor, or material for the construction of an owner-occupied residence. (c) buys a residence from a real estate developer after completion of the construction on the owner-occupied residence. (18) “Owner-occupied residence” means a residence that is, or after completion of the construction on the residence will be, occupied by the owner or the owner’s tenant or lessee as a primary or secondary residence within 180 days from the date of the completion of the construction on the residence. (ii) as a person providing qualified services other than as a licensed contractor under Subsection 38-11-301(3) if the person seeks recovery from the fund in a capacity other than as a licensed contractor. (x) site preparation, set up, and installation of factory built housing. (b) “Qualified services” do not include the construction of factory built housing in the factory. (b) is a licensed contractor under Title 58, Chapter 55, Utah Construction Trades Licensing Act, who engages in the construction of a residence that is offered for sale to the public. (ii) a multifamily dwelling up to and including duplexes. (b) “Residence” includes factory built housing. (23) “Subsequent owner” means a person who purchases a residence from an owner within 180 days from the date the construction on the residence is completed. This chapter shall be administered by the Division of Occupational and Professional Licensing pursuant to the provisions of this chapter and consistent with Title 58, Chapter 1. (c) one member from the general public who has no interest in the construction on owner-occupied residences, or supply of materials used in the construction on owner-occupied residences. (2) The board shall be appointed and members shall serve their respective terms in accordance with Section 58-1-201. (d) review the administrative expenditures made by the division pursuant to Subsection 38-11-201(4) and report its findings regarding those expenditures to the executive director on or before the first Monday of December of each year. (4) The attorney general shall render legal assistance as requested by the board. In compliance with Title 63G, Chapter 4, Administrative Procedures Act, the division shall establish procedures by rule by which claims for compensation from the fund and requests for certificates of compliance shall be adjudicated and by which assessments shall be collected. (3) failure of the fund to pay any amounts ordered by the director to be paid from the fund. (C) the owner from whom the subsequent owner purchased the residence met the conditions described in Subsections 38-11-204(4)(a) and (b). (II) includes the real property associated with that owner-occupied residence. (B) “General contract” means an oral or written contract between an owner and an original contractor for providing service, labor, or materials for construction on an owner-occupied residence. (C) “Subcontractor” means a person who provides service, labor, or materials for construction on an owner-occupied residence under an agreement other than directly with the owner. (B) whether or not the original contractor is licensed under Title 58, Chapter 55, Utah Construction Trades Licensing Act. (II) the subsequent owner’s tenant or lessee occupies the residence as a primary or secondary residence within 180 days after the date of the transfer. (2) If a residence is constructed under conditions that do not meet all of the provisions of Subsection (1)(a) or (b), that residence and the real property associated with that residence as provided in Section 38-1-4 shall be subject to any mechanics’ lien as provided in Section 38-1-3. (3) A lien claimant who files a mechanics’ lien under Chapter 1, Mechanics’ Liens, or a foreclosure action upon an owner-occupied residence is not liable for costs and attorney fees under Sections 38-1-17 and 38-1-18 or for any damages arising from a civil action related to the lien filing or foreclosure action if the lien claimant removes the lien within 15 days from the date the owner obtains a certificate of compliance and mails a copy of the certificate of compliance by certified mail to the lien claimant at the address provided for by Subsection 38-1-7(2)(a)(v). The 15-day period begins accruing from the date postmarked on the certificate of compliance sent to the lien claimant. (1) Beginning July 1, 1995, the original contractor or real estate developer shall state in the written contract with the owner what actions are necessary for the owner to be protected under Section 38-11-107 from the maintaining of a mechanic’s lien or other civil action against the owner or the owner-occupied residence to recover money owed for qualified services. (2) In accordance with Title 63G, Chapter 3, Utah Administrative Rulemaking Act, the division may issue rules providing for the form and content of the information required by Subsection (1). If any provision of this chapter is held invalid or unconstitutional by a court of competent jurisdiction, the invalidity shall not affect the other provisions of this chapter which can be given effect without the invalid or unconstitutional provision. (ii) subject to Subsection (2), that the owner is entitled to protection under Subsection 38-11-107(1)(b). (b) If the director determines through an informal proceeding under Subsection (1)(a) that an owner seeking the issuance of a certificate of compliance under Subsection (1)(a)(i) is not in compliance as provided in Subsection (1)(a)(i), the director may not issue a certificate of compliance. (2)(a) An owner seeking the issuance of a certificate of compliance under Subsection (1)(a)(ii) shall submit an affidavit, as defined by the division by rule, affirming that the owner is entitled to protection under Subsection 38-11-107(1)(b). (b) If an owner’s affidavit under Subsection (2)(a) is disputed, the owner may file a complaint in small claims court or district court to resolve the dispute. (ii) a small claims court or district court resolves any dispute over the owner’s affidavit in favor of the owner. (2)(a) The fund consists of all amounts collected by the division in accordance with Section 38-11-202. (b)(i) The division shall deposit the funds in an account with the state treasurer. (ii) The division shall record the funds in the Residence Lien Recovery Fund. (c) The fund shall earn interest. (3) The division shall employ personnel and resources necessary to administer the fund and shall use fund money in accordance with Sections 38-11-203 and 38-11-204 and to pay the costs charged to the fund by the attorney general. (4) Costs incurred by the division for administering the fund shall be paid out of fund money. (6)(a) For purposes of establishing and assessing fees under Section 63J-1-504, the provisions of this chapter are considered a new program for fiscal year 1995-96. (b) The department shall submit its fee schedule to the Legislature for its approval at the 1996 Annual General Session. (9) any interest earned by the fund. (c) there is adequate money in the fund to pay the amount ordered. (b) there is adequate money in the fund to pay the amount ordered. (3)(a) An order under this section may be issued only after the division has complied with the procedures established by rule under Section 38-11-105. (b) The director shall order payment of the qualified services as established by evidence, or if the claimant has obtained a judgment, then in the amount awarded for qualified services in the judgment to the extent the qualified services are attributable to the owner-occupied residence at issue in the claim. (c) The director shall order payment of interest on amounts claimed for qualified services based on the current prime interest rate at the time payment was due to the date the claim is approved for payment except for delays attributable to the claimant but not more than 10% per annum. (d) The rate shall be the Prime Lending Rate as published in the Wall Street Journal on the first business day of each calendar year adjusted annually. (e) The director shall order payment of costs in the amount stated in the judgment. If the judgment does not state a sum certain for costs, or if no judgment has been obtained, the director shall order payment of reasonable costs as supported by evidence. The claim application fee as established by the division pursuant to Subsection 38-11-204(1)(b) is not a reimbursable cost. (f) If a judgment has been obtained with attorneys’ fees, notwithstanding the amount stated in a judgment, or if no judgment has been obtained but the contract provides for attorneys’ fees, the director shall order payment of attorneys’ fees not to exceed 15% of qualified services. If the judgment does not state a sum for attorneys’ fees, no attorneys’ fees will be paid by the director. (4)(a) Payments made from the fund may not exceed $85,000 per construction project to qualified beneficiaries and laborers who have claim against the fund for that construction project. (b) If claims against the fund for a construction project exceed $85,000, the $85,000 shall be awarded proportionately so that each qualified beneficiary and laborer awarded compensation from the fund for qualified services shall receive an identical percentage of the qualified beneficiary’s or laborer’s award. (5) Subject to the limitations of Subsection (4), if on the day the order is issued there are inadequate funds to pay the entire claim and the director determines that the claimant has otherwise met the requirements of Subsection (1) or (2), the director shall order additional payments once the fund meets the balance limitations of Section 38-11-206. (iii) the basis for the claim. (c) from the date the laborer, trying to recover from the fund, completed the laborer’s qualified services. (3) The issuance of a certificate of compliance is governed by Section 38-11-110. (f) the qualified beneficiary provided qualified services to a contractor, licensed or exempt from licensure under Title 58, Chapter 55, Utah Construction Trades Licensing Act. (5) The requirements of Subsections (4)(d)(ii) and (iii) need not be met if the qualified beneficiary is prevented from compliance because the nonpaying party files bankruptcy. (b) provide any supporting documents or information required by rule by the division. (7) A fee determined by the division under Section 63J-1-504 shall be deducted from any recovery from the fund received by a laborer. (b) was a natural person who was not licensed under Title 58, Chapter 55, Utah Construction Trades Licensing Act, but who was the sole or partial owner and qualifier of a business entity that was licensed under Title 58, Chapter 55, Utah Construction Trades Licensing Act. (9) The director shall have equitable power to determine if the requirements of Subsections (4)(a) and (b) have been met, but any decision by the director under this chapter shall not alter or have any effect on any other decision by the division under Title 58, Occupations and Professions. (1)(a)(i) The state, on behalf of the fund, has the right of subrogation only to the extent of payments made from the fund. (ii) Upon payment from the fund to a claimant, any payment to the claimant that was the basis of the claimant’s claim against the fund shall be assigned to the fund for the enforcement of subrogation rights by the attorney general. (iii) A claimant’s judgment or bankruptcy claim against the nonpaying party shall be automatically assigned to the state, to the extent paid by the fund on a particular residence, upon the state’s filing of the director’s order of payment of claim with the appropriate court. (b) The state’s right of subrogation under Subsection (1)(a) has priority over any rights of the qualified beneficiary under the judgment or any civil penalties imposed. (c) The state shall be awarded attorney’s fees and court costs incurred in recovering claims paid from the fund. (2)(a) The attorney general shall enforce all subrogation claims and may contract with private attorneys as necessary to adequately enforce subrogation claims. (b)(i) In addition to the subrogation claims the attorney general may seek a civil fine of $5,000 per residence for failure to reimburse the Residence Lien Recovery Fund within 90 days after any disbursement from the fund resulting from the registrant’s failure to pay qualified beneficiaries under this chapter. (ii) All claims under the judgment have priority over the civil penalty. (3) The attorney general may charge the fund for costs incurred by the attorney general under this chapter. (1)(a) If on June 30 of any year the balance in the fund is less than $1,500,000, the division shall make a special assessment against all qualified beneficiaries in an amount that will restore the unencumbered fund balance to not less than $2,000,000 or more than $2,500,000. (b) The amount of the special assessment shall be determined by the division under Section 63J-1-504 after consultation with the board. (2) Special assessments made under this section shall be due and payable on December 1 following assessment. (3) The fund balance limitations set forth in Subsection (1)(a) shall be used by the division only for the purpose of determining the amount of any special assessment and do not prohibit the fund balance from exceeding $2,500,000 or falling below $2,000,000. (b) the licensee or qualified beneficiary shall reimburse the fund within 20 days from the issuance of the notice required by Subsection (1)(a). (2) The notice required by Subsection (1)(a) shall meet the requirements established by rule by the division in accordance with Title 63G, Chapter 3, Utah Administrative Rulemaking Act. (3)(a) A finding of fact in an administrative action that a payment of any amount has been made from the fund in settlement of a claim arising from the act, representation, transaction, or conduct of a person licensed under Title 58, Chapter 55, Utah Construction Trades Licensing Act, in violation of Section 58-55-603 shall result in the immediate suspension of that person’s license without further compliance with Title 63G, Chapter 4, Administrative Procedures Act. (b) The finding of fact for Subsection (3)(a) may be made in the same administrative action as the related claim and may be included in the findings required by Section 38-11-203. (c) The suspension required by Subsection (3)(a) shall remain in effect until the person applies for reinstatement and is issued a license in accordance with Sections 58-1-308 and 58-55-303. (1) A person licensed as of July 1, 1995, as a contractor under the provisions of Title 58, Chapter 55, Utah Construction Trades Licensing Act, in license classifications that regularly engage in providing qualified services shall be automatically registered as a qualified beneficiary upon payment of the initial assessment. (2) A person applying for licensure as a contractor after July 1, 1995, in license classifications that regularly engage in providing qualified services shall be automatically registered as a qualified beneficiary upon issuance of a license and payment of the initial assessment. (iv) paying the initial assessment established under Subsection (4), and any special assessment determined by the division under Subsection 38-11-206(1). (b) A person who does not register under Subsection (1), (2), or (3)(a) shall be prohibited from recovering under the fund as a qualified beneficiary for work performed as qualified services while not registered with the fund. (4)(a) An applicant shall pay an initial assessment determined by the division under Section 63J-1-504. (b) The initial assessment to qualified registrants under Subsection (1) shall be made not later than July 15, 1995, and shall be paid no later than November 1, 1995. (c) The initial assessment to qualified registrants under Subsections (2) and (3) shall be paid at the time of application for license or registration, however, beginning on May 1, 1996, only one initial assessment or special assessments thereafter shall be required for persons having multiple licenses under this section. (b) registers as a qualified beneficiary under Subsection (1) or (3) on or before November 1, 1995. (1)(a) A registration as a qualified beneficiary under this chapter is effective on the date the division receives the initial assessment of the qualified beneficiary. (b) A registrant shall be required to renew the registrant’s registration upon imposition of a special assessment under Subsection 38-11-206(1). (2) A registration automatically expires if a registrant fails to renew the registrant’s registration as required under Subsection (1). (3) The division shall notify a qualified beneficiary in accordance with procedures established by rule when renewal of registration is required in connection with a special assessment. (4) The license renewal notice to a contractor shall notify the licensee that failure to renew the license will result in automatic expiration of the licensee’s registration as a qualified beneficiary and of the limitations set forth in Subsection (6) on qualified beneficiaries whose registration has expired to make a claim upon the fund. (c) paying all unpaid assessments that were assessed during the period of the person’s registration and all assessments made upon qualified beneficiaries during the period the applicant’s registration was expired. (6)(a) A qualified beneficiary whose registration expires loses all rights to make a claim upon the fund or receive compensation from the fund resulting from providing qualified service during the period of expiration. (b) Except as provided by Section 58-55-401, a qualified beneficiary whose registration expires may make a claim upon the fund or receive compensation from the fund for qualified services provided during the period the qualified beneficiary was part of the fund. For purposes of this chapter: (1) “Lien” means: (a) failure to pay money owed for property, services, or a notice of interest, a judgment, or any other encumbrance on the title, that becomes a charge against or interest in: (i) real property, a building, a structure, or an improvement including any franchise, privilege, appurtenance, machinery, or fixture pertaining to or used in connection with any real property, building, structure, or improvement; (ii) personal property; or (iii) a judgment, settlement, or compromise; or (b) a tax as provided in Section 59-1-1413, 59-5-108, 59-5-208, 59-11-110, or 59-12-112. (2) “Lien” does not mean a charge against or interest in, for failure to pay money owed for property, services, or a judgment, any: (a) bank account; (b) pension; or (c) garnishment. (b) in the case of a lien on an aircraft under Section 38-13-201, with the Federal Aviation Administration. (e) the name and address of the lien claimant. (l) a court judgment or abstract of a court judgment presented for recording in the office of a county recorder. (1)(a) A person who fails to meet the notice requirements of Subsections 38-12-102(1) and (2) is precluded from receiving an award of costs and attorneys’ fees from the person against whom a notice of lien has been filed in an action to enforce the lien if costs and attorneys’ fees are authorized by contract or statute. (b) Subsection (1)(a) does not create a right to costs and attorneys’ fees. (2) In addition to the penalties provided in Subsection (1)(a), a lien claimant who, within 20 days from the date of receiving notice of noncompliance with the notice requirements of Subsection 38-12-102(1) or (2), willfully refuses to release the notice of lien or record the lien in compliance with Section 38-12-102 is liable to the person against whom the notice of lien was filed for $1,000 or for treble damages, whichever is greater. (b) affect the rules of priority provided in Title 70A, Chapter 9a, Uniform Commercial Code--Secured Transactions. The provisions of this chapter do not create independent grounds for imposing a lien.